December is busy month at SRC with 4 events on the calendar, here is what is coming up and what you need to do to be a part of it. 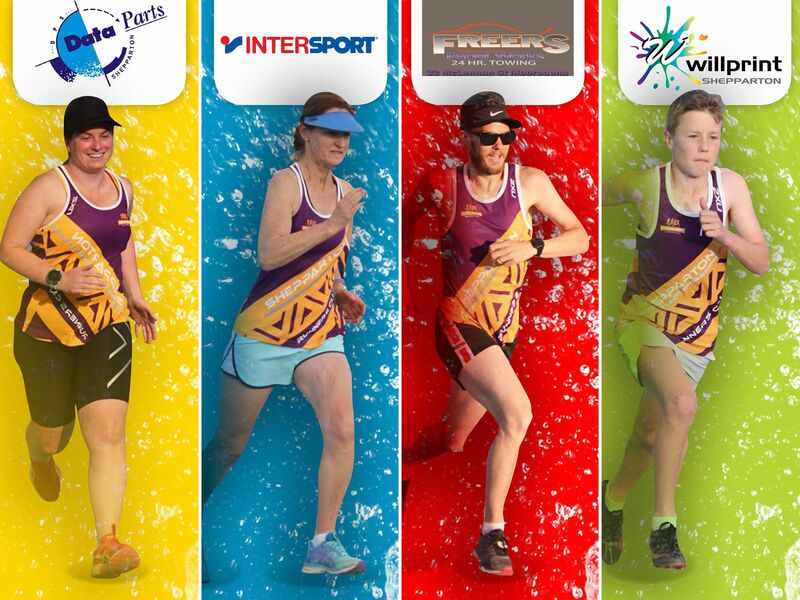 Saturday December 8th from 4pm at Shepparton Athletics track will be our teams event where we say thank you to our sponsors who have helped put funds towards our uniform this year. We will be running events for 100m, 200m, 400m, 800m and 1600m and then at the end of the night we will take requests for anything else you’d like to have a go at. A schedule of events will be posted this weekend on the facebook page so please keep an eye out for that. If you could also wear something on the night that is either yellow, blue, red or green that would be great as we would like to take some photos in our sponsor colours, and hopefully our latest uniform order will be ready to show off on the night. “The Michigan” A workout so nice they only named it once! Sunday December 23rd from 8am at Princess Park – experience “The Michigan” What is “The Michigan” you ask, have a read of this – https://lopemagazine.com/2018/11/16/the-michigan-workout-ron-warhurst-nick-willis-kevin-sullivan/?fbclid=IwAR3WVFbRNZtFhYvxvaX5ogfw0YZOj8u6nYwd0iSNTr35viYJDAY8s_gDp6Y We will be giving our own version of “The Michigan” a go and will follow it up with a social bbq afterwards – come along to watch, participate if you’re brave enough or just enjoy each others company before Christmas and have a cheeky sausage or 7. You can even decide if onions go on top or beneath your sausage! Training over Christmas and New Year – There will be no SRC training on Christmas Day or New Years Day as they fall on a Tuesday, however normal training will be on Thursday December 27th and Thursday January 3rd. Just a reminder to make sure that we obey the local parking laws when attending parkrun on a saturday morning. There is usually ample parking in the Pizza Hut carpark across the road, and in other designated parking areas. We need to make sure that we maintain safe conditions for all users of the area, and this includes road users. 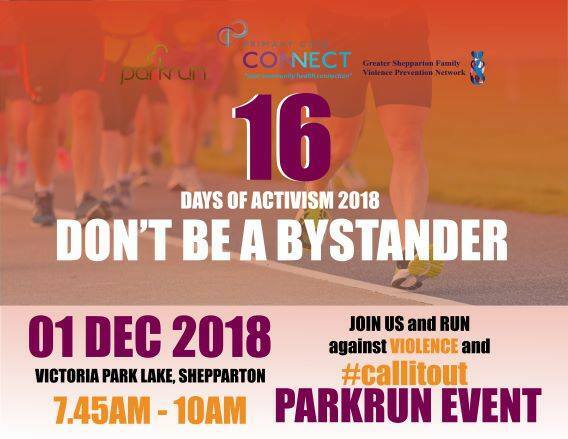 Just a reminder that 16 days of activism is on next week in conjunction with parkrun. parkrun is free, but please remember that if you aren’t already registered as a parkrun participant you need to register on the website so that you can get a result. Facebook event page here . Early bird entries open NOW. 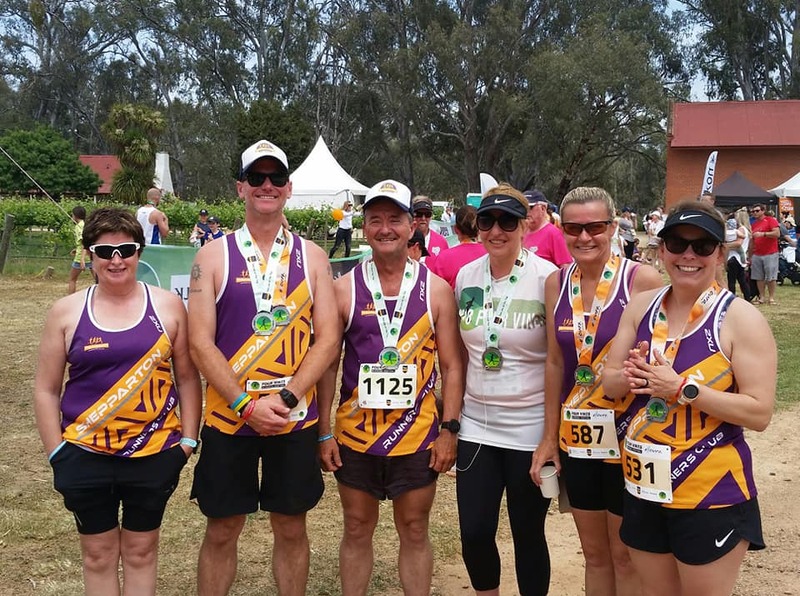 “Australia’s largest marathon” and best running festival is back! The 2019 Melbourne Marathon Festival is being held on Sunday the 13th of October. More than 30,000 competitors will participate in this awesome event, finishing with a lap of the MCG’s hallowed turf after passing many of Melbourne’s famous landmarks en-route. The festival features distances for all ages and abilities making it a great family friendly event. Events include the Melbourne Marathon (42.195km), Airlines Half Marathon (21.1km), ASICS 10km Run, 5km Run and 3km Walk. Participants will make their way through the vibrant streets of Melbourne, passing some of the city’s most iconic landmarks. The longer runs will take in sights such as the Arts Centre, Flinders Street Station & the picturesque St Kilda foreshore with all participants finishing with a lap of the hallowed turf of the MCG. We are just on 4 days away from our first 3000m race night and we need you to register so I can help get the grading done for the races. Step 1 – Fill out the google docs form – https://docs.google.com/…/1FAIpQLScQK6ZOf8n4s3bYa…/viewform… – it takes 30 seconds. If you could please complete the google docs form i’d be really appreciative and it will help me get a more organised event for everyone which equals more enjoyment and also will give me a chance to run on the night which i’d dearly love to do as well. 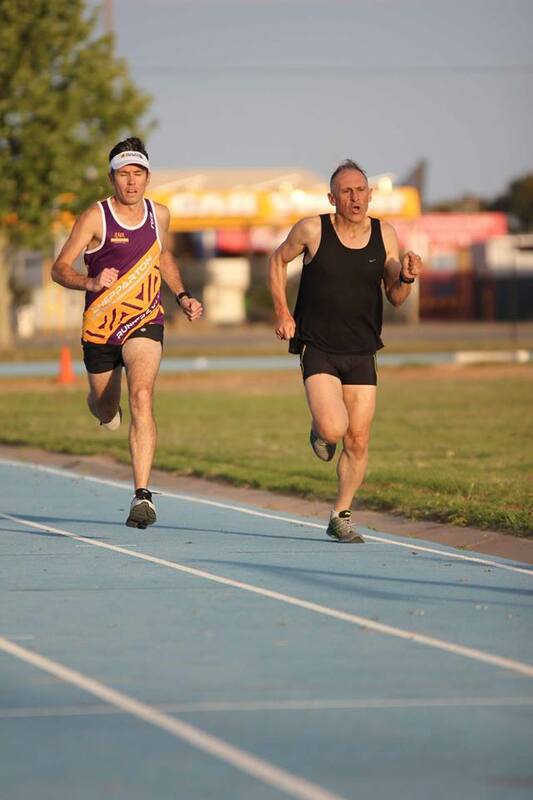 Let’s see how many people we can have registered in the next 48 hours, based on our last handicap i’m expecting around 50+, so let’s see who’s keen to come and run a 3km track PB. For those who are following Kathy, Narelle, and Louise the Queenstown marathon starts at 8:20 am NZ time. This event is on SATURDAY November 17. 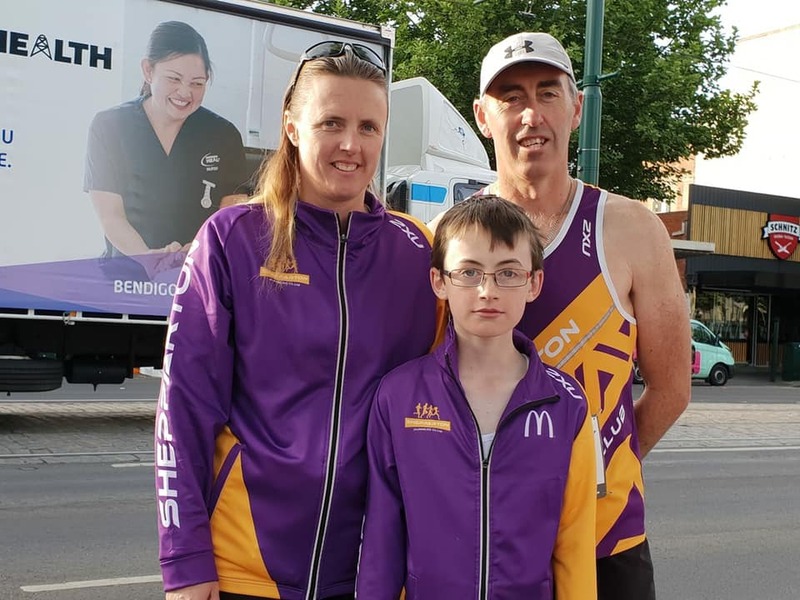 The Shepparton Runners Club wishes these 3 athletes the best of luck. Just a quick update on the 2018 Murray Quad which is taking place on Saturday the 24th and Sunday the 25th of November. Thanks to the fantastic support of our sponsors we have decided to donate all of the entry fees from the Kids and Parent fun run to HeartKids in support of local runners Lisa Dekeling and Shane Hack who’s young son Eli is currently in Ronald MacDonald House recovering from his 4th Open Heart Surgery. 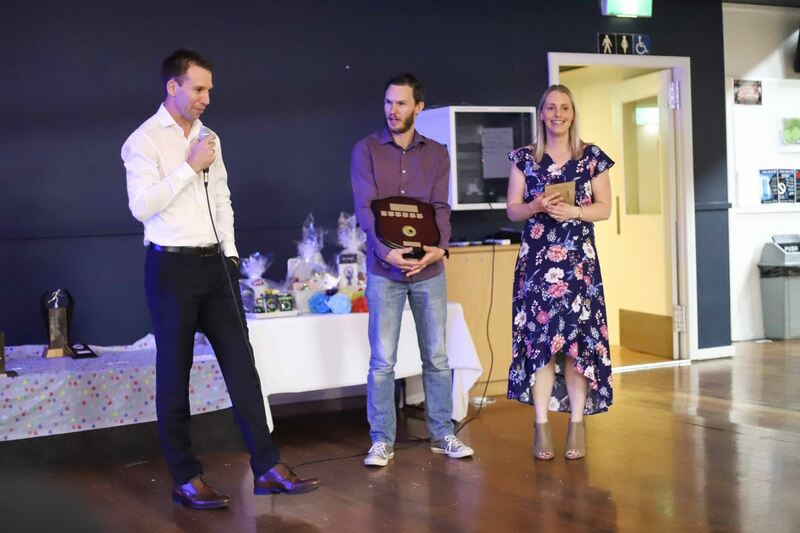 The 2019 Shepparton Runners Club Presentation Night was this year held at the WB Hunter Pavilion on Saturday the 10th of November. It was a hugely successful night that saw attendance reach 75, far exceeding our expectations and smashing last years total of 45. The atmosphere was relaxed (for most of us) and it warmed my heart to see the kids running around playing and the adults enjoying a beverage and laugh remembering the year that was. It was also our honour to have 3 life members attending, Brian Brett, Geoff Wilson and Steve Trevaskis. 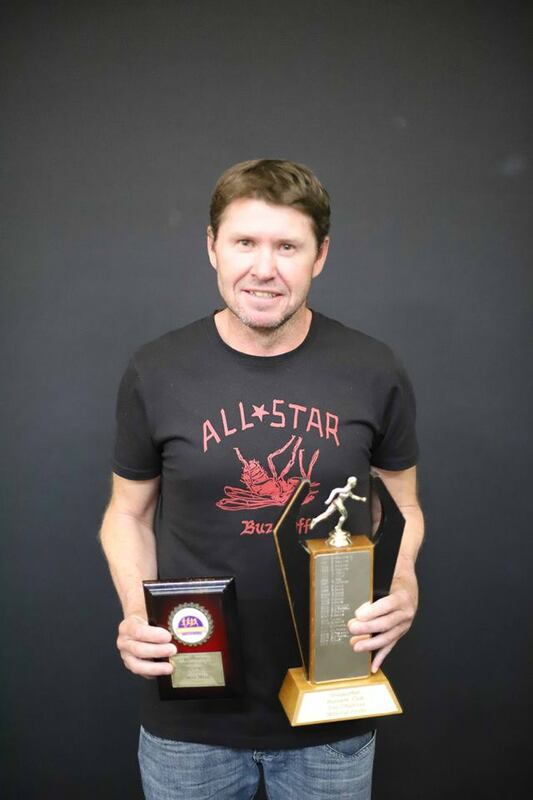 Male Club Champion – Jason Hunter – Backing up last year’s win. 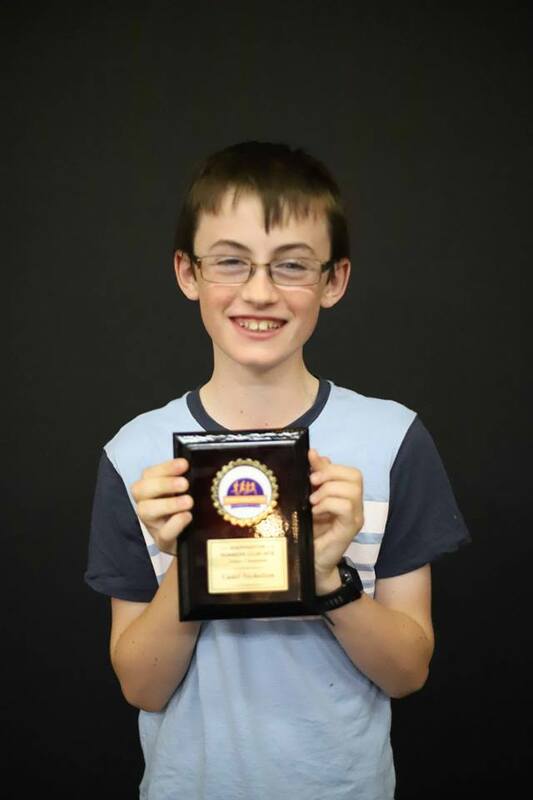 Junior Club Champion – Cadel Nicholson – Another superstar who went back to back. 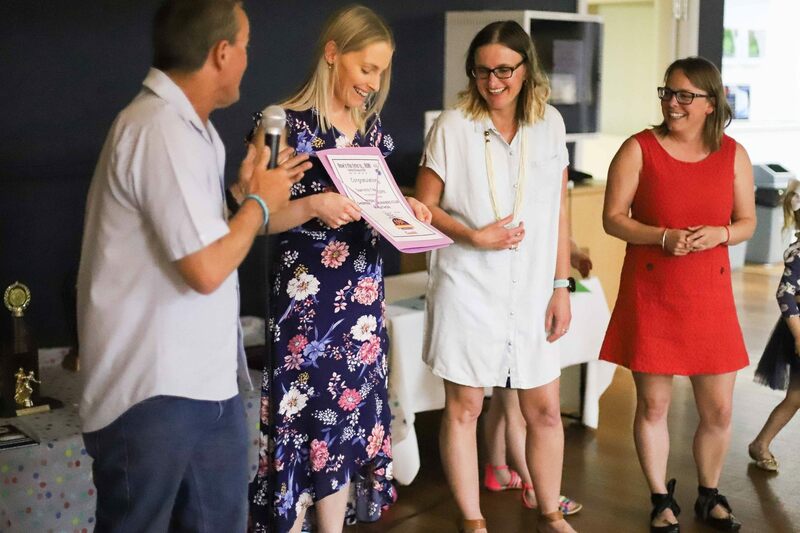 Once again we handed out some light hearted awards and 4 lucky door prizes these were presented by Tara and Sam Daniels, Steve Trevaskis, Julz Mulcahy and Justine Ryan. We also thought we needed clarify story of the Most Unimproved Award (as it may have come across a little harsh LOL). 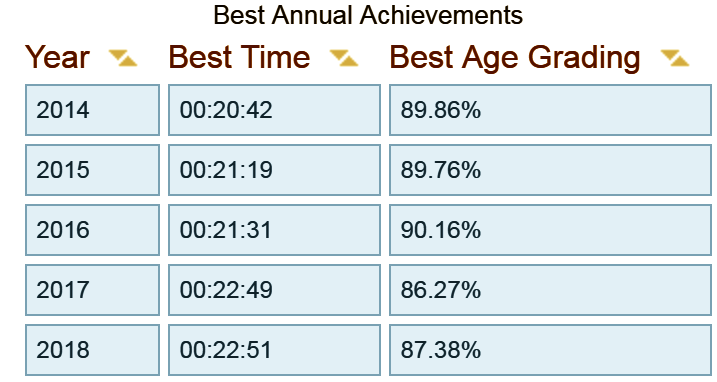 At this years Running Festival, Sam Daniels ran his Half Marathon in an impressive 1 hour and 51 minutes (a PB for him), however……. unfortunately for Sam but to the delight of wife Tara his timing chip didn’t register when he crossed the line, it registered later in the day giving him an official time of 3 hours and 12 minutes. Hence the award. 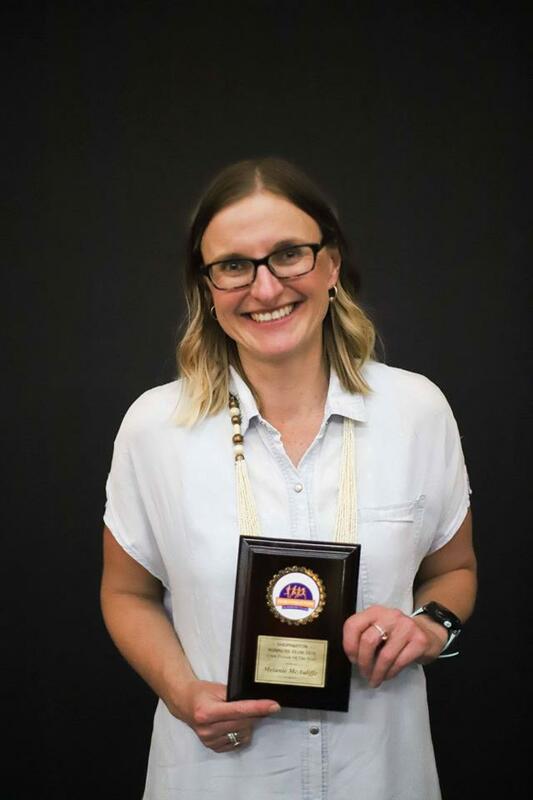 My night was obviously and unexpectedly made even more special when I was named the Club Person of the Year. It is an absolute honour to receive the award and I feel privileged to receive an award that has been presented to amazing past and present members including Life Members Lyne and Brian Gawne, Una Cody, Tom O’Halloran, Steve Trevaskis and current members Andrew and Sue Olley, Trevor Dainton, Mat Ryan and Nadine Edwards. So as another year ends we now begin planning the many events that will help us Celebrate our 40th Anniversary in 2019. 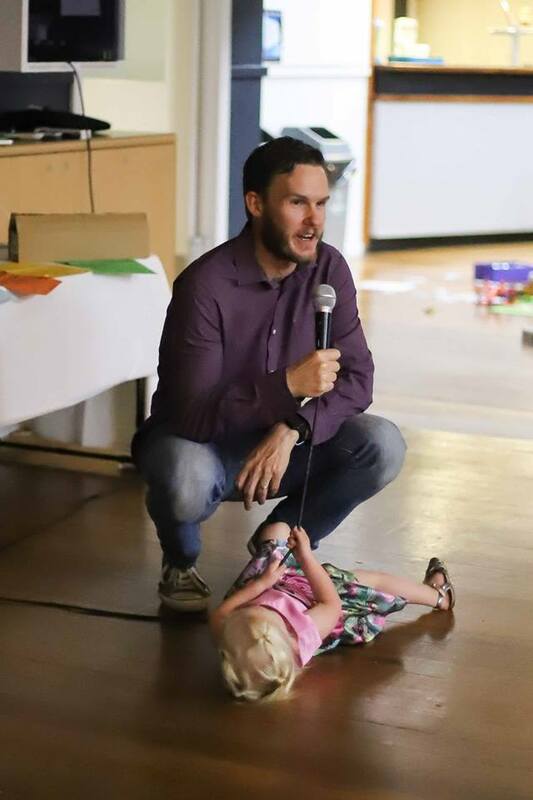 So keep an eye on the newsletter and Facebook, as will be keeping you all up to date on all of the events for 2019 via these forms and remember book the babysitter for the 13th of July 2019. Ever dreamed about doing two parkruns in one day? Now is your chance. We will be having an extra event on New Years Day at 7.30am. 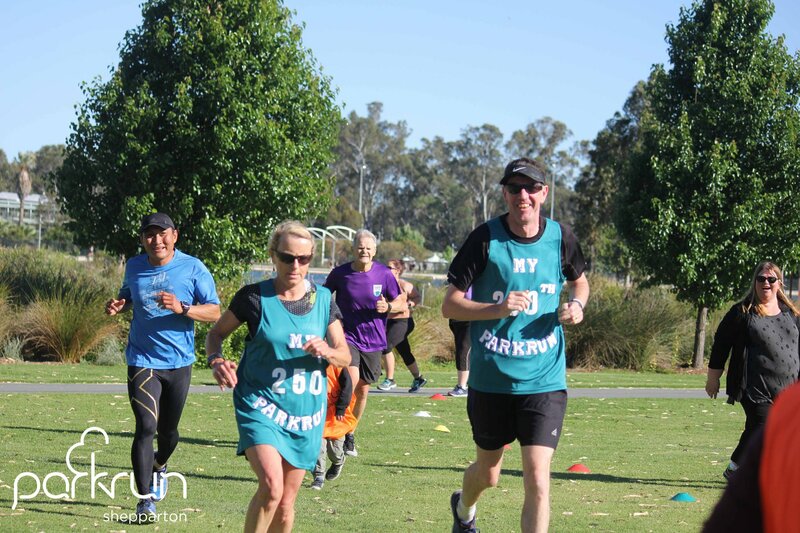 Then you can make your way to Shepparton parkrun for their start at 9.30am. Both events will be timed and will count towards your tally. Or may wish to volunteer at one and run/walk the other. This is our chance to get some extra parkrunning done. 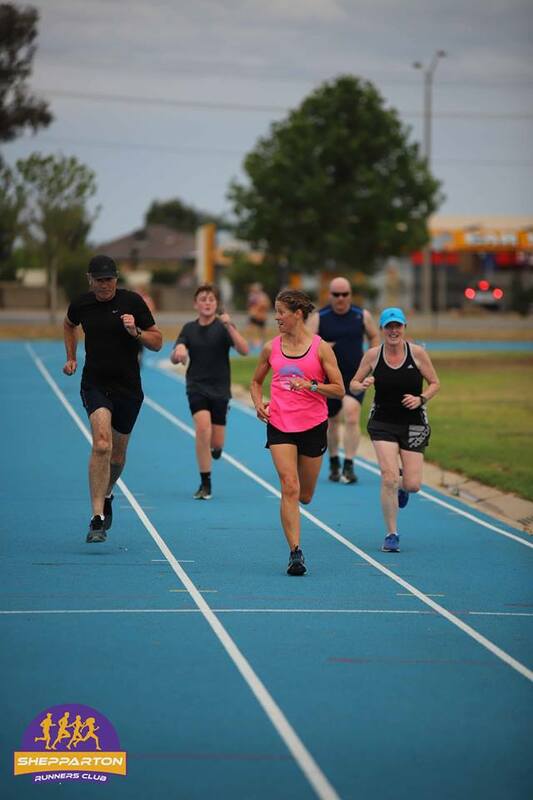 There is absolutely no better way than to see the new year in with friends and family while participating in parkrun at Cobram. 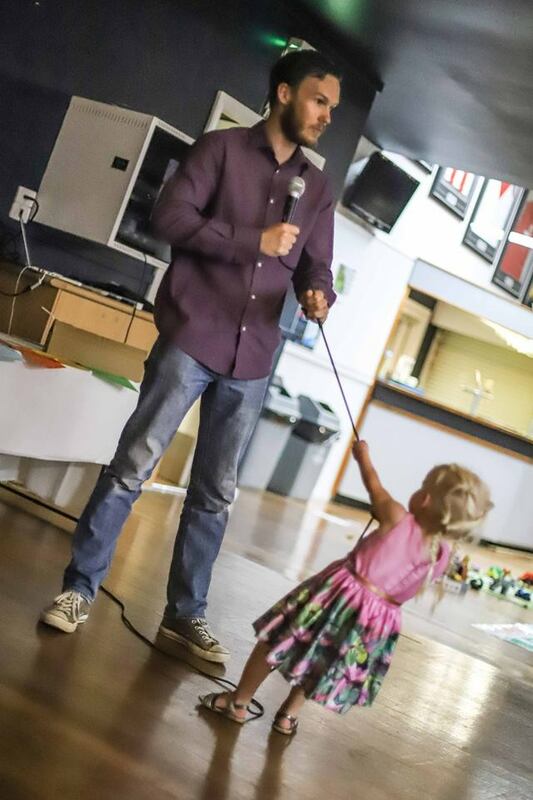 Chelsea Nicholson thank you so much for capturing the fun of the night. It was truly a pleasure to be part of it and wonderful to see everyone having a great night. 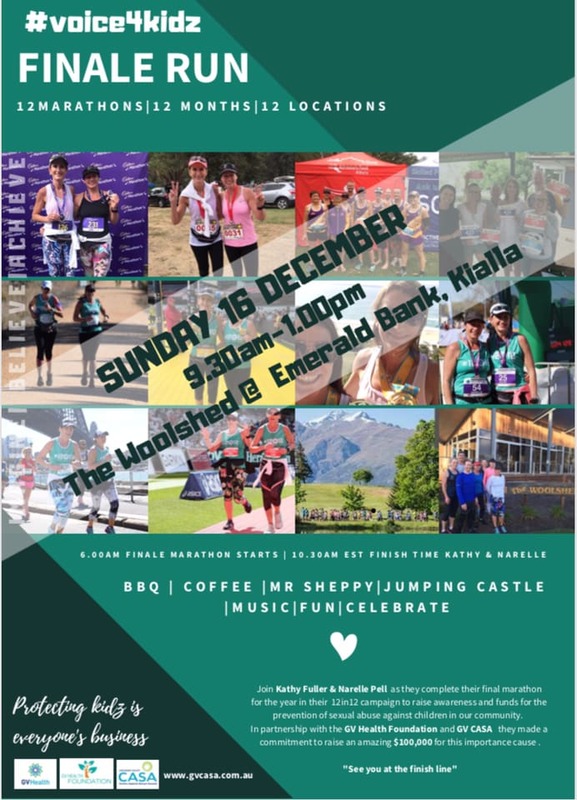 Marathon No 12 will be run on December 16 at the woolshed Emerald Bank Shepparton for #voice4kidz final marathon for 2018. Good luck tomorrow in Queenstown Marathon No 11. Imagine, Beleive, achieve facebook page for more information. Above – Coach Chris talking about the year to date. 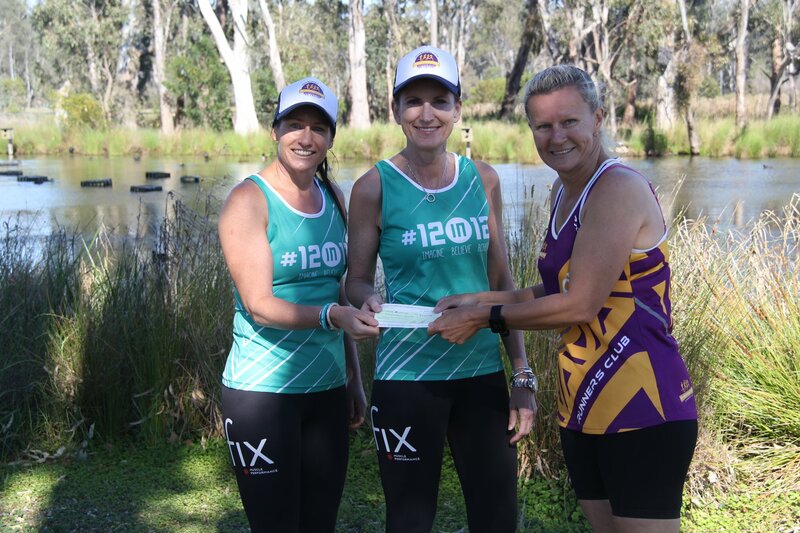 Above – Norah Armstrong, Melanie McAuliffe, & Tara Daniel receive a novelty award for their completion of the teams event in the Shepparton Marathon. 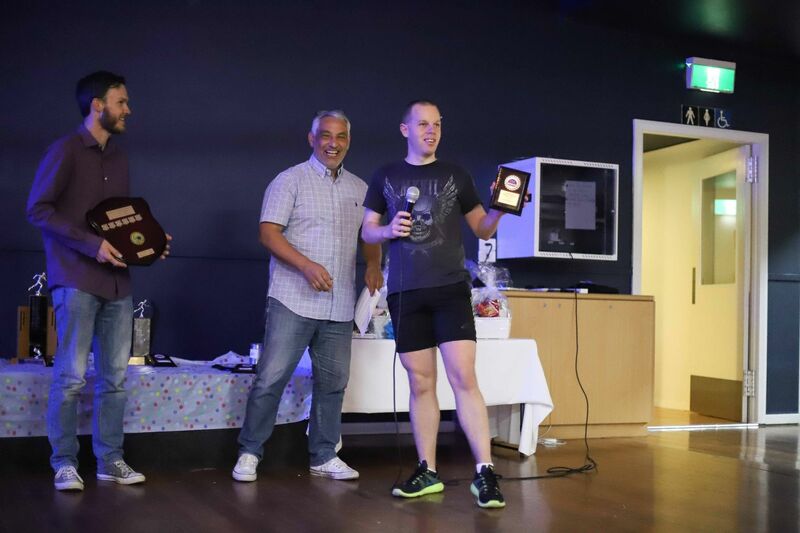 Even though all 3 had a fair idea about the novelty award before the presentation they plan on running the O’Keeffe marathon in the teams event in April 2019. This time they will be one of seven in the team. If you are interested in joining in the marathon team please speak to Tara. 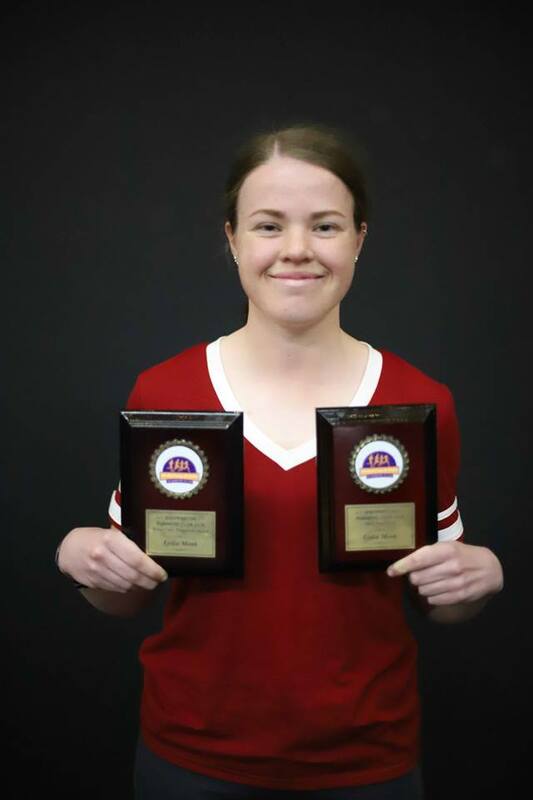 Above – Cadel Nicholson, Junior club champion. 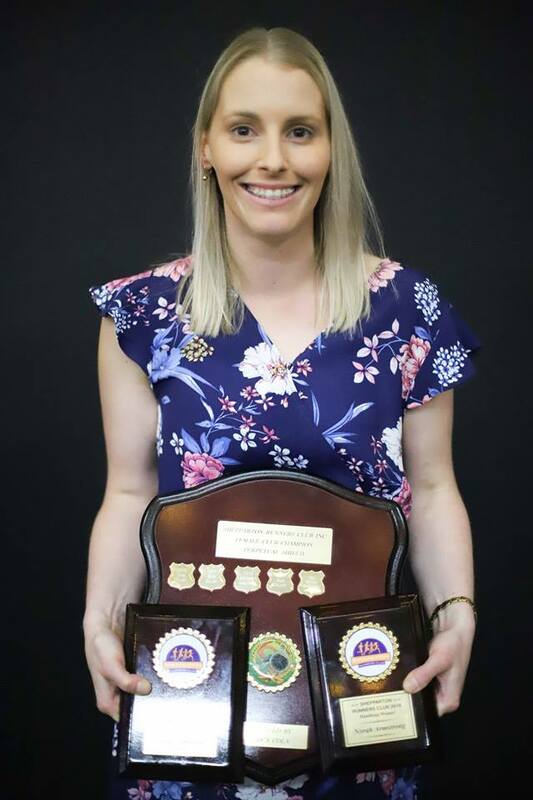 Above – Mel McAullife SRC Club Person of the year 2018. Melanie organised her committee and contributed most of the day at the Bunnings BBQ. 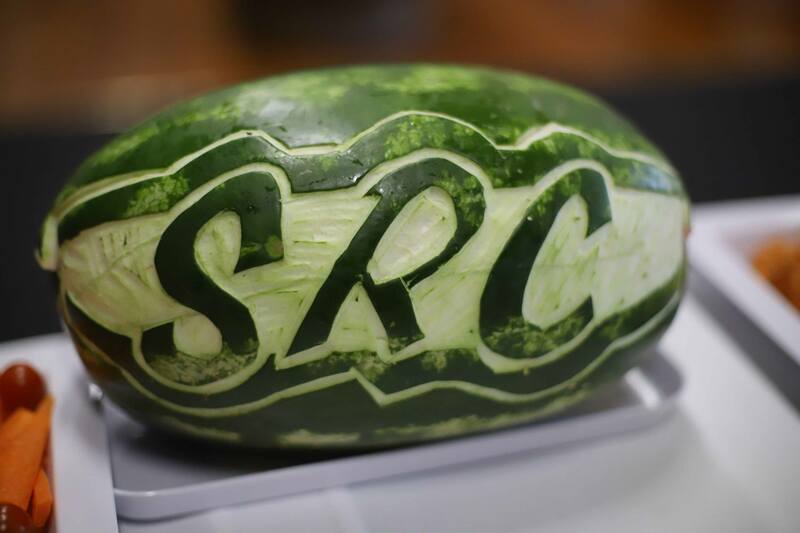 The BBQ was held to raise funds for the SRC 40th. 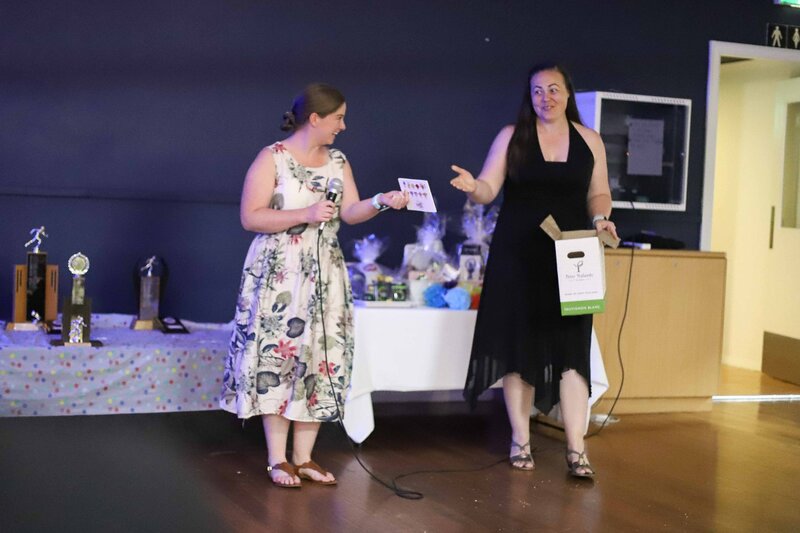 She also took charge and managed most of the work that went into a very successful presentation night. Even though Mel was supported by several enthusiastic members, she went over and above with the massive effort she put in. Below – an example of Mel’s commitment and work effort. 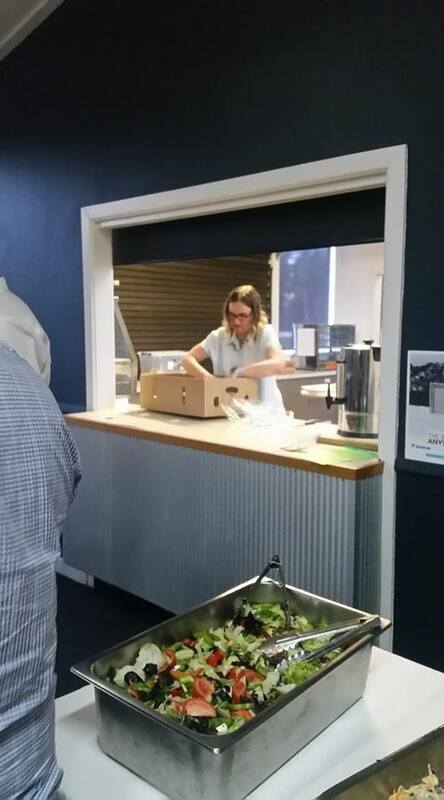 She is busy working in the kitchen while everyone else is socialising and having fun. Well done Melanie, congratulations. 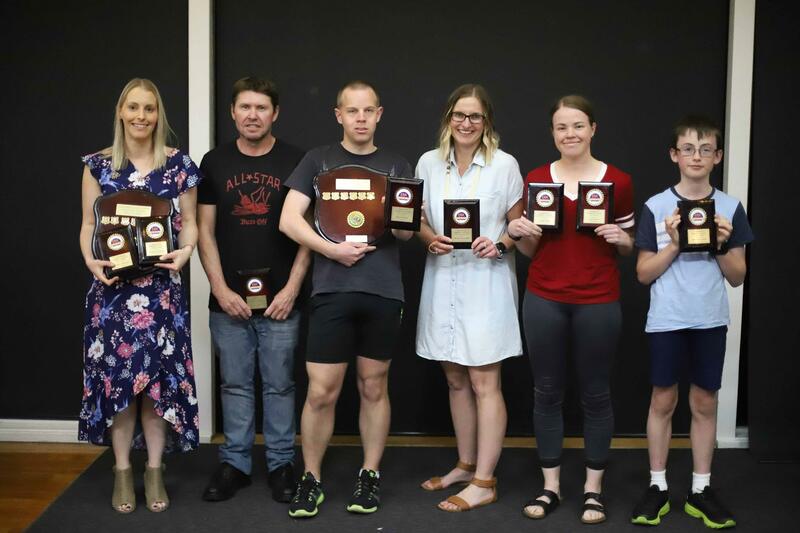 Above – All the winners of the main awards, L to R Norah Armstrong, Steve Monk, Jason Hunter, Melanie McAuliffe, Lydia Monk, & Cadel Nicholson. We are just on 11 days away from our first 3000m race night and we need you to register so I can help get the grading done for the races. Step 1 – Fill out the google docs form – https://docs.google.com/forms/d/e/1FAIpQLScQK6ZOf8n4s3bYaw8yRPiDvK1HOtcy1_QAzDJwd8-D6NTdtg/viewform?c=0&w=1 – it takes 30 seconds. 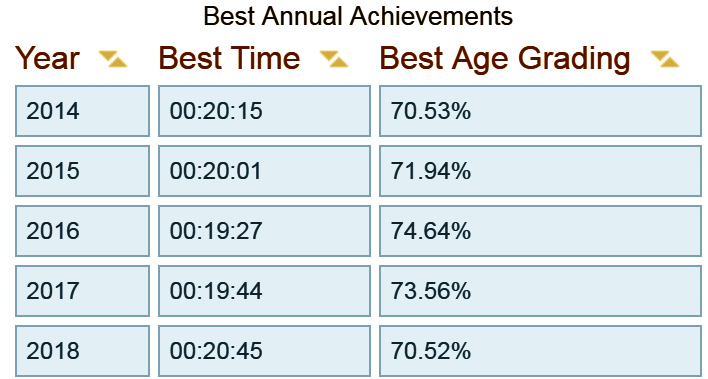 Let’s see how many people we can have registered in the next 48 hours, we are currently at 13, but based on our last handicap i’m expecting around 50+, so let’s see who’s keen to come and run a 3km track PB. With presentation night coming up on Saturday, it’ll be a great night to reflect on the year and enjoy each other’s company. What have been your highlights for yourself or someone else this year? Recently I was chatting with Nadine about how far the club has come in the last 2 years. 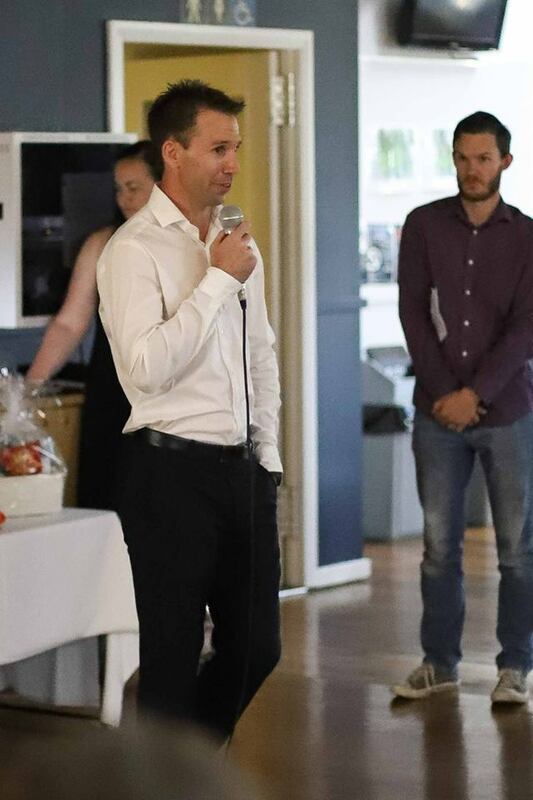 2 years ago Presentation night was at the clubrooms and attendance was in the twenties. We were engaged in regular meetings with Tim Crosby from Athletics Victoria on how to rebuild the club. We took his advice and now we have a new website, new logos, new running tops and apparel, and we also have a coach. Coach Chris has been one of the biggest factors for improving the direction of the club. Two years ago 20 runners turning up to a handicap would have been considered good. Last week we had 52 turn up to the 800 mtr handicap at the athletics track. A lot of credit for the turn around in the last two years must also go to Nadine Edwards, Trevor Dainton, Mathieu Ryan, Norah Armstrong & Melanie McAuliffe. All working away to create a better club and running environment. 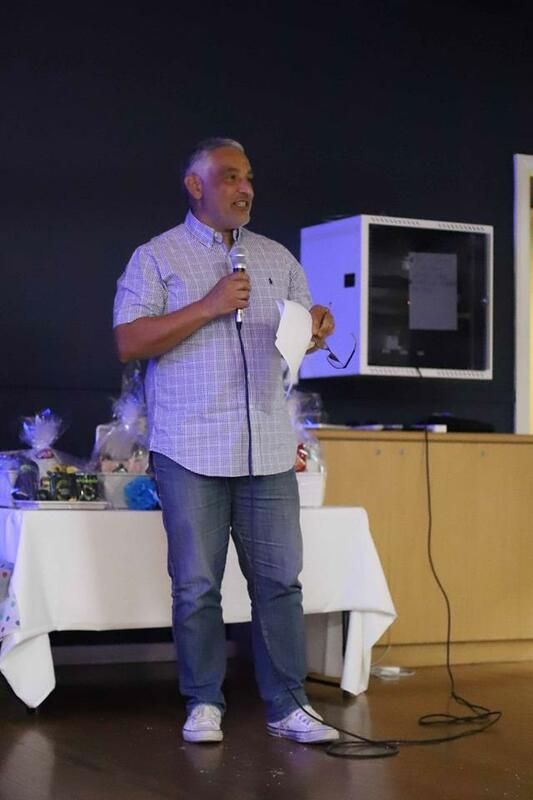 On the last count for presentation night 2018 our numbers were 69 in total. 45 adults. 17 school aged and 7 that are 5 y.o. and under. With the race list being updated regularly remember to keep checking the SRC facebook events page for all future races and events. It’s Challenge Shepparton Festival time! Dress up, dress down. You’re limited only by your imagination! Get your friends together and run around the lake in your undies! Friends don’t let friends undie run alone. Registrations are now open for Cupid’s Undie Run 2019! 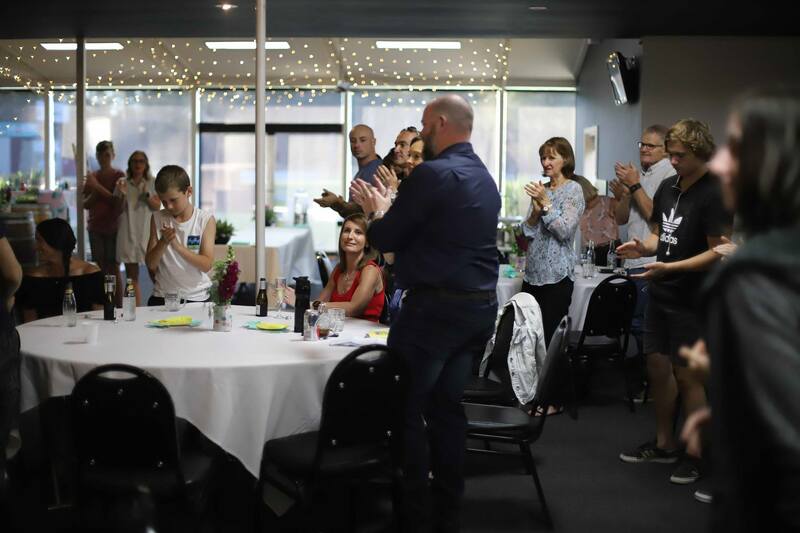 We are so excited to be bringing this event to Shepparton and helping spread awareness to bring us one step closer to conquering Neurofibromatosis. Are you feeling brave? Do you #dare2bare? Allan Connelly has created – Xaviers team – So if you are joining a team, that’s the cool team to be in. Cupid’s Undie Run – Shepparton 2019 – Facebook page. Race report by Sam Daniel. 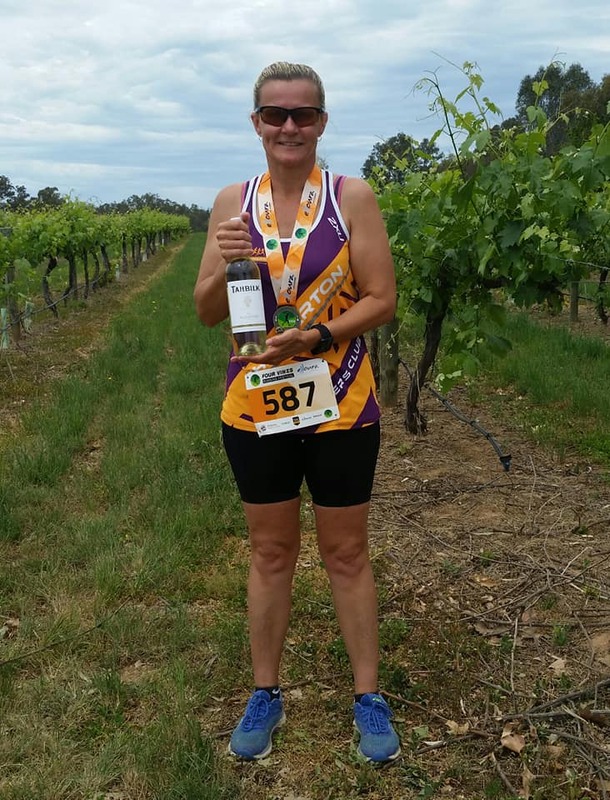 We arrived nice and early at the historic Tahbilk winery for the 4 Vines Fun Run last Sunday. Checked in, picked up my bibs, and went to check the conditions of the porta-loos. Just before the 10k race briefing, there was an announcement concerning a 10 minute delay, something to do with a track blockage, maybe a snake. I enquired if the 5k race would follow suit in the delay, which I was also running, with a positive reply. Off we ran at the starting line, through the extensive vineyards and around the very pretty wetlands, tracks, bridges and a bit of bush. Having only an hour between the two start times, I passed through the 10k mark at 51.33, but the trail still had another 800 metres to run. A quick glass of prosecco at the finish line, a change of tee shirt (and bib), and off onto the 5 k run with Tara and Mirium. We took it gentle and enjoyed the scenery, what an enjoyable day for a run (or two). 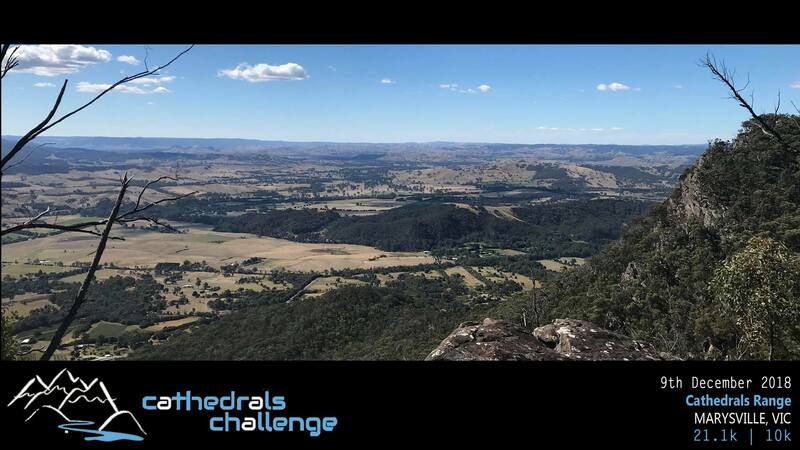 NOTE – All distances were long by up to 800 mtrs for the 10 km run. On this course, it would be difficult to create a course that finished at a km mark. This was a fantastic event for a first effort. They had a few issues that need addressing. 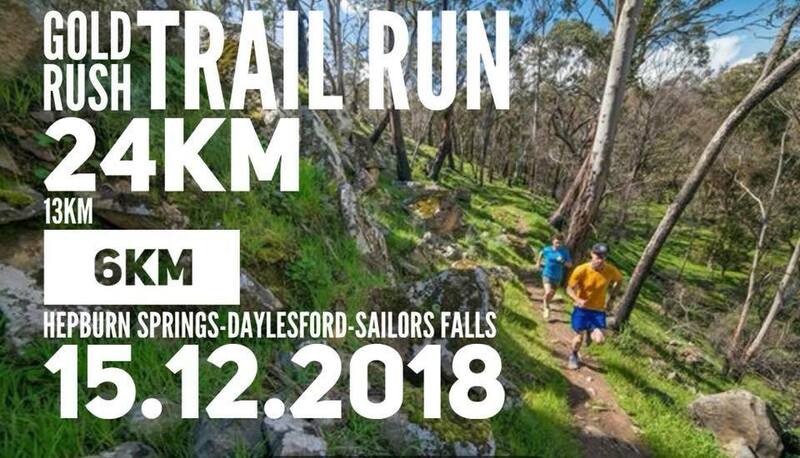 But once ironed out, this could be one of the best regional running festivals in Victoria. If you want to try something different from bitumen but don’t want to leap into trails, this could be the event for you. Unbelievably picturesque entrance and race compound. We were greeted with sunshine filtering through the trees on the lawn area where we had lunch after our run through the winery. Our Fun Run / Walk event is occurring once again! A fantastic family, community or club event that caters for all fitness levels, while raising money for your Charity or sporting club with 20+ participants. Prams are Welcome. 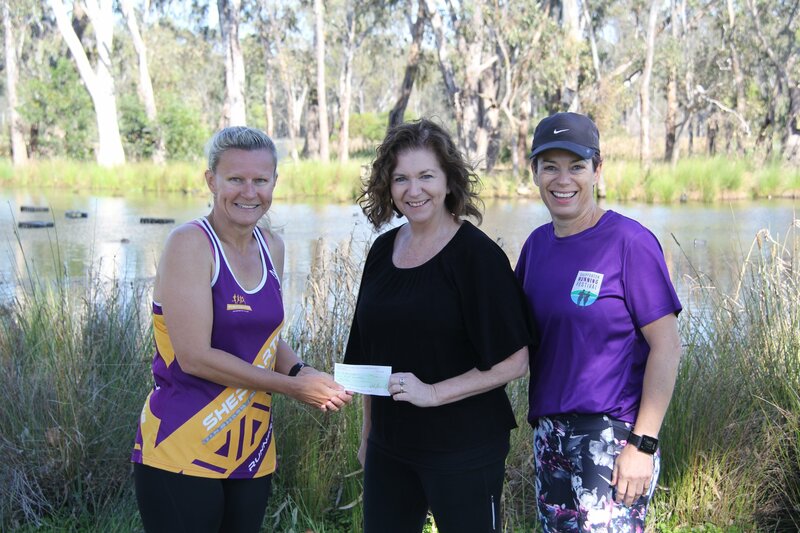 The Shepparton Runners Club plan on putting in a team and all monies raised will go towards the 40th anniversary. 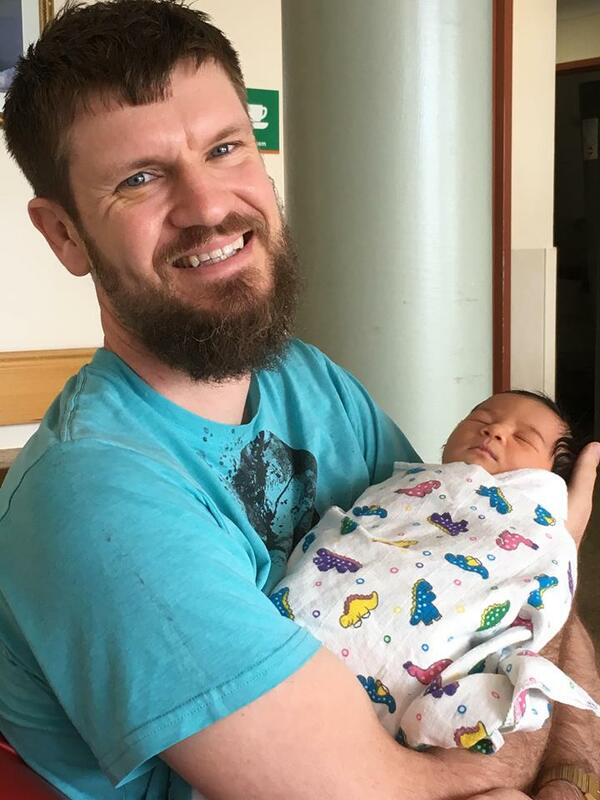 Little Constance “Connie” Tyler Born Saturday 3/11/18 at 4.50am, weighing 3.7kg. 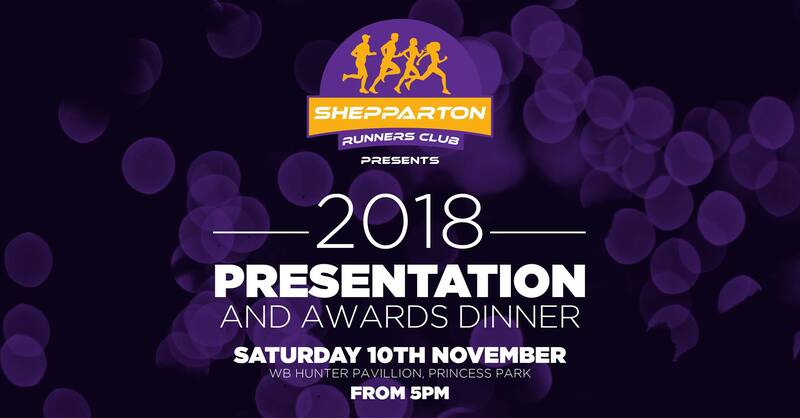 Do you know a club member who has gone above and beyond to provide value and / or input into the betterment of the Shepparton Runners Club? Someone who has gone potentially over and above normal roles of the committee. Please send your nominations to stephen.ayton@nab.com.au before Wednesday 7th November. After an online poll training will be at 8 am at the lake. Congratulations to tonight’s winners Jaiden Heinzmann, Ryan Dealy, Karisha Scoble and Georgia Comline…. great to see such a wonderful turn out to the twilight 800m event. 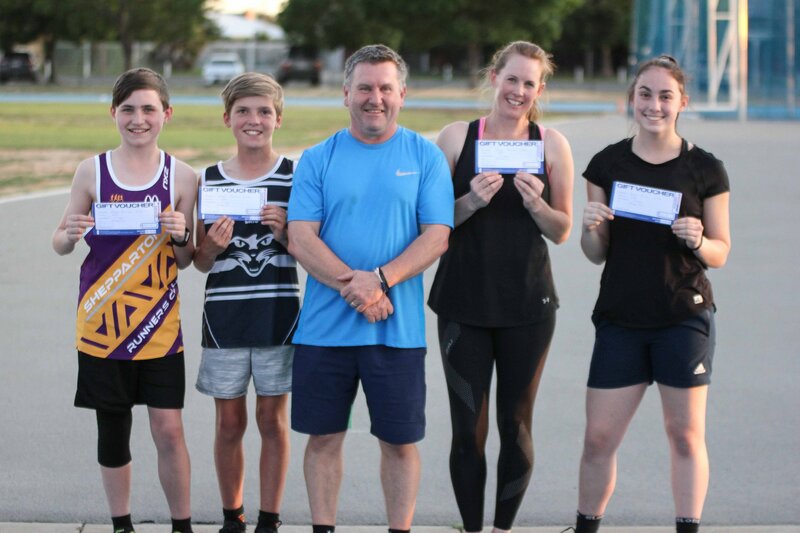 Special thank you to Intersport Shepparton for the $30 vouchers to each of our winners, for great service, advice on sports clothing and equipment, go in and see Nipper and he will help you out! Well done to the 52 runners who participated in tonight’s 800m handicap. 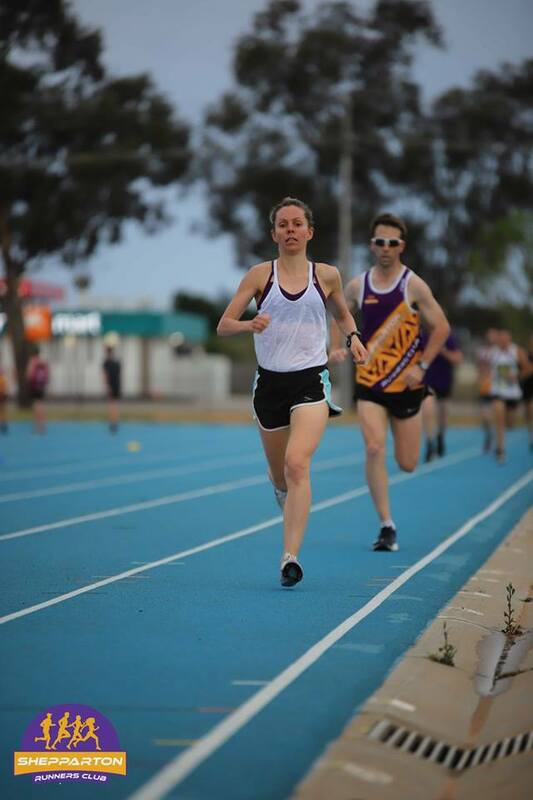 It was fantastic to see you out there having some fun and gaining an appreciation for how challenging the 800m can be. Thanks also to everyone who helped volunteer on the night, we couldn’t have nights like this without your help. Thanks for supporting the night, it was great viewing for all spectators as well as participants. Official results have been sent through to make all look fancy, but here is a snapshot of the top 10 times for the night.